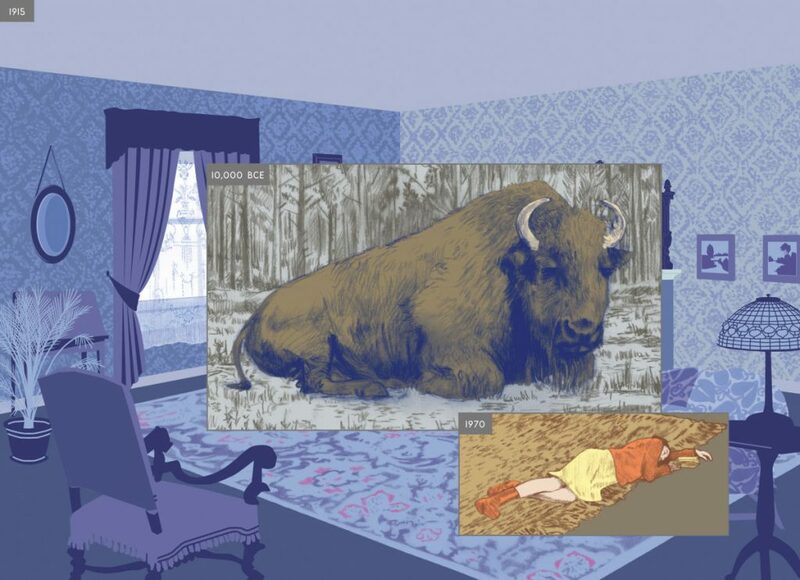 HERE by Richard McGuire is the story of a corner of a room and the events that have occurred in that space over the course of hundreds of thousands of years. 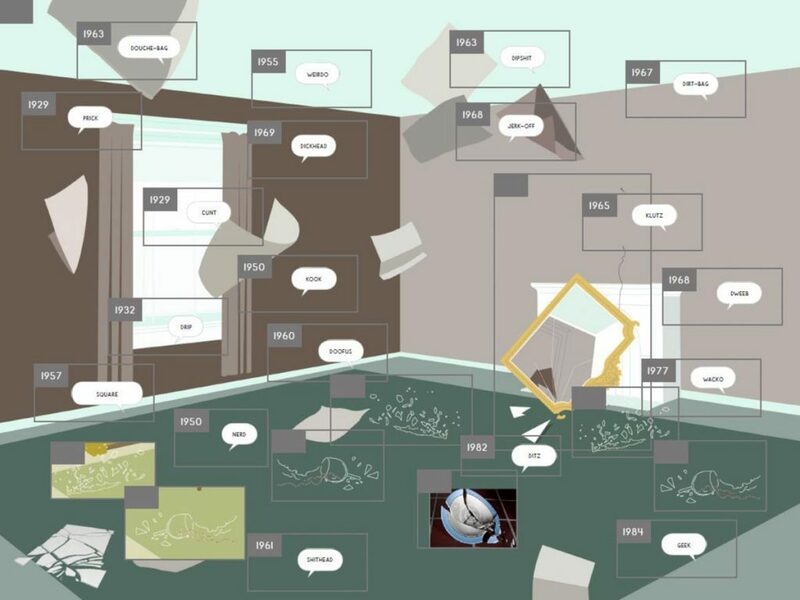 Richard McGuire’s groundbreaking six-page comic “Here” was first published in RAW magazine in 1989. McGuire developed the book based on this short story for fifteen years. The interactive eBook edition is the long-awaited fulfillment of a pioneering comic vision. In the eBook, scenes can be shuffled and reshuffled, leading to new narrative combinations and connections. Visual surprises await you at the turn of every page. The eBook uses multiple panels to convey the different moments in time. Hundreds of thousands of years become interwoven. A dinosaur from 100,000,000 BCE lumbers by, while a child is playing with a plastic toy that resembles the same dinosaur in the year 1999. Conversations appear to be happening between two people who are centuries apart. Meanwhile, the attention is focused on the most ordinary moments. The reader becomes the guide through the events that have happened HERE, where time and space are anything but finite and the only limit is the screen itself.